While us Yanks were fixated on the Mayweather vs. McGregor fight, Japan had some more pressing battles to get to. 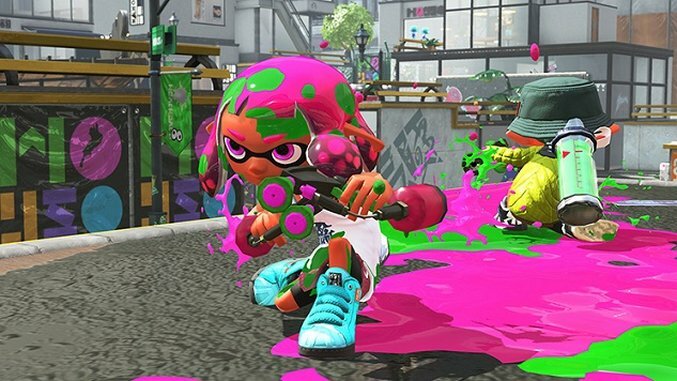 While American players of Splatoon 2 sparred over flight and invisibility as hypothetical superpowers last weekend (flight being the victor), Japan had a more promotional Splatfest, asking players to choose between McDonald’s McNuggets and french fries. After a long and likely greasy battle, McNuggets emerged as the winner. The detailed results show that fries won the popular vote handily, with a whopper (or Big Mac) of a vote percentage at 71. However, french fry fanatics faltered where it really counted, during the resulting Turf War battles, narrowly losing 51 percent of battles to the McNugget movement. This isn’t the first time the Splatoon series has held such a corporate and promotional Splatfest, holding “Autobots vs. Decepticons” and “Spongebob vs. Patrick” Splatfests for the first games. For copyright reasons, we’re likely only to see intracompany debates rather than intercompany ones—don’t hold your breath for Coke vs. Pepsi. In the meanwhile, McNuggets fans took to the streets to celebrate their much-deserved victory. Check out a couple of these fans in the embedded video below.